We are dedicated to bringing you superior quality and innovative products with personalized hands-on planning, creating, and designing. You tell us what you are looking for, and we will help you to design it. For more information about this business, contact Bob Dion today! At Bangor Savings Bank, you matter more. We’ve been living and working alongside the people of Maine for over 160 years. Longer than any other bank in Maine. In that time, we’ve learned to believe in the innate ability of the people of Maine to achieve their goals and dreams. Our commitment to serving central Maine started in 1937 when Elwin L. Crosby, opened his first funeral home in Dexter. Our family also operates additional facilities in Corinna and Newport. Customized Vinyl Graphics & Application For Signage, Any Vehicles, Vinyl Banners, and Window Designs. Also Offering Hats, Sweatshirts, T-Shirts, Team and Business Apparel, School & Varsity Jackets, with Custom Embroidery and Heat Applied Transfers. Our business provides custom printing and copying services. We also offer large format printing, including posters. 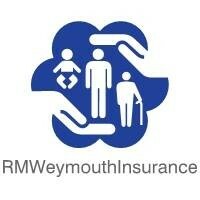 RM Weymouth Insurance is dedicated to you, your family, and your business. We carry all lines of insurance, and work with highly rated Carriers to cover all your different insurance needs. We have won several National awards for Production and Quality of Service, achieved by hard work and taking care of the customer before, during, and after the sale. To support our local community with valuable services, in a friendly atmosphere, with caring employees who are committed to upholding the credit union philosophy. Serving the Sebasticook Valley region with insurance and financial services. United Insurance delivers custom insurance solutions to help protect the people of New England and the businesses they depend on. Backed by the combined strength and flexibility of a select group of specialized, top rated, independent insurance carriers, each one of our 15 local United Insurance locations is deeply rooted in the communities we serve.